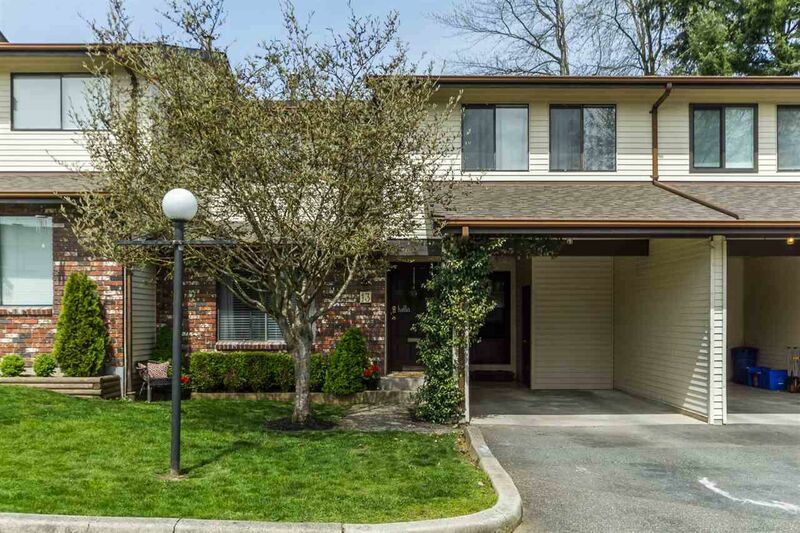 LARGE family townhome over 2000 Sq ft with 4 beds/ 4 baths. On the quiet side of the complex with a private yard. Updates include: flooring, lighting, paint, bathrooms (main & basement) and kitchen. Impressive living room with a vaulted ceiling and gas fireplace. Nice sized rec room in the basement and a den currently being used as a 5th bedroom. A well run small complex of 14 units. Comes with 2 parking spots and bonus storage in the carport. Great central location close to shopping, recreation, transit, freeway and schools. Call for a private viewing today!